Spacious two bedroom, two bath corner apartment with 10.5 foot ceilings, and a walk-out balcony. On-site, private, assigned indoor garage parking for one vehicle is included in the monthly rental amount. Elevator in the building for convenient access. 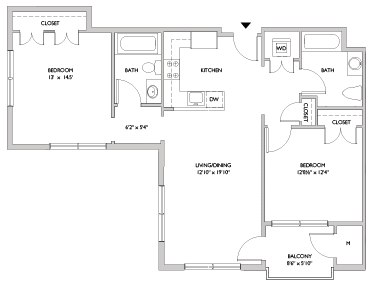 Gourmet kitchen with stainless steel appliances , quartz countertops, and breakfast bar. 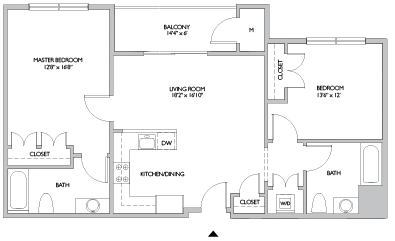 Extra large master bedroom features large closets and an ensuite bath. Both baths feature Porcelenosa fixtures and are full baths. Hardwood flooring in throughout entry, kitchen and living areas. Third Floor, spacious two bedroom, two bath apartment includes enclosed, assigned garage parking. Elevator in the building for convenient access to the apartment. Expand your living space outdoor with a large private balcony. Gourmet kitchen with stainless steel appliances and breakfast bar. Master bedroom features ensuite bath. Both baths feature Porcelenosa fixtures and are full baths. Hardwood bamboo flooring in throughout entry, kitchen and living areas. 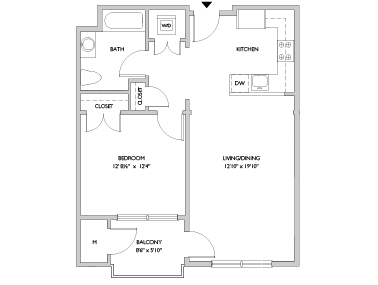 Full sized washer and dryer in apartment. Building is non-smoking. Sorry, no pets allowed. First floor, spacious one bedroom apartment with gourmet open kitchen featuring stainless steel appliances and breakfast bar. Hardwood floors throughout entry, kitchen, living and dining area. Gorgeous bathroom with Porcelenosa fixtures. Washer/dryer in apartment. Private balcony off living area. Elevator in the building for convenient access. On-site, assigned parking included in monthly rental amount. 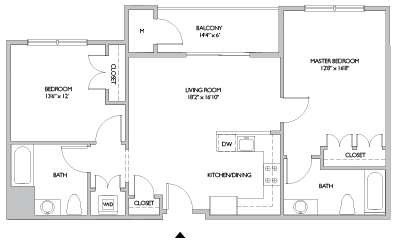 Our Penthouse apartment is a third floor, two bedroom, two bath, corner apartment with private balcony. Lots of natural light and extra windows provide spectacular views of West Hartford Center. On-site, enclosed, side-by-side garage parking for two vehicles included in monthly rental amount. Gourmet kitchen with stainless steel appliances and breakfast bar. Large master bedroom features ensuite bath. Both baths feature Porcelenosa fixtures and are full baths. Hardwood flooring in throughout entry, kitchen and living areas. Elevator located in the building for convenient access. The modern luxury rentals at 24 N Main offer luxurious new one and two bedroom apartments in West Hartford Center with easy access to entertainment, shopping and restaurants at Blue Back Square and Bishop’s Corner. Our location provides an easy commute to UConn Health and Hartford.